This is the third post in a monthlong series that started here. Each post will take about two minutes to read and may include an action item that takes the reader another two minutes to complete. I am writing this for an audience of people who know nothing about frequent flyer miles, and my goal is that by the end, you know enough to fly for free anywhere you want to go. If you’re new to miles and points, you could easily open credit cards today with sign up bonuses totaling more than half a million miles and points. There are other ways to earn miles and points, but none is as easy, quick, and cheap as opening up travel rewards cards. I’ve earned over 90% of my lifetime miles and points from credit cards, mostly from their sign up bonuses. A startling amount of fun I’ve had in life has been the direct result of trips taken with miles earned from opening a credit card and meeting its minimum spending requirement. 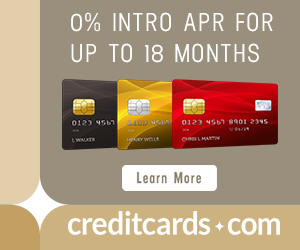 I don’t want to over-sell credit cards, but I don’t want to under-sell them either. Credit cards are the bread and butter of this hobby. Today’s post will be one of the longest of the entire 2015 Beginners Series because I want the entire introduction to travel credit cards to be in one place. How do travel credit cards affect your credit score? How can you get three free credit reports per year? What are the three things I look for in a credit card? How do I double my miles with business cards? How long do I hold my credit cards? Will you ever run out of credit card bonuses to get? Credit cards affect your credit score in several ways according to FICO, which produces the most widely-used credit score in the United States. Note that I am not offering financial advice, nor am I a financial professional. I am an expert on miles and points who has opened dozens of credit cards. Consult FICO’s website directly or your financial professional instead of blindly trusting my synopsis. Applying for a credit card hurts your credit score. In my experience, my score drops 2-5 points per hard credit pull. By the way, these hard credit pulls stay on your credit report for 24 months. Getting the new credit line that comes with a new credit card raises your credit score. When you open a new card but don’t spend more money per month on your cards., your “credit utilization ratio” gets better. Making on time payments raises your credit score. And this is the most important part of your credit score. The net result of opening dozens of cards and having around 15 open at the moment is a credit score in the mid-700s for me. That’s excellent for a 27 year old. There are older folks in this hobby who have opened more cards than me with scores in the 800s. My credit score is already high enough to get approved for any credit card I want. If I get it above 760, I’ll qualify for the lowest interest rate on pretty much any loan. Start by going to annualcreditreport.com, the only site where you can get a free, no-strings-attached credit report from the three bureaus once a year. Some people like to get one of these reports every four months instead of all three at once. Make sure the information on the reports is accurate and that no one has stolen your identity. The reports do not include your credit score. There is often an option to buy a score for $8 or so, but these are usually “FAKO” (that is, not true FICO) scores. You can get a free FICO score if you have any Barlcaycard or Discover card. Don’t get a credit card if you will spend more on a card than you do by carrying around currency and paying for things in cash. Don’t get a credit card if you will not pay the bill in full each month to avoid interest charges. Don’t get a credit card if you will need a major loan in the next 24 months, since the credit pull from opening a card stays on your credit report for 24 months. If you’ve looked at your credit report and understand how a credit score works and have decided to open one or more travel rewards cards, that’s where I can help. There are four main things I look at when deciding whether to get a card. Notice what isn’t on the list. I don’t know and don’t care what the APR on any of my cards are. I pay off my credit cards in full each month. If you can’t do that 100% of the time, don’t get a credit card. Rewards cards tend to offer [x] miles or points after spending $[y] on the card in the first [z] months after getting the card. We want the sign up bonus to be as big as possible while also ensuring we can meet the minimum spending requirement in the specified time frame. Sign up bonuses are where I get most of my miles. If spending $1,000 on a new card gets me 50,000 miles, I’m earning miles 50 times faster than spending $50,000 on any old card to get 50,000 miles. The key to being a miles millionaire is clearing many sign up bonuses. Category bonuses are far less important than sign up bonuses, but you should be aware of them. I have cards that offer me 5 points per dollar on telecom bills, 3 points per dollar on dining, 2 points per dollar on gas, and tons of other bonuses on many categories of spending. When I’m not spending toward a minimum spending requirement, I’ll consider my category bonuses, but my first priority is minimum spending requirements. Why? A 50,000 mile bonus after spending $1,000 on a new card is like getting 50 miles per dollar, and my best category bonus on an existing card is 5 points per dollar. I have cards that offer me free checked bags, free airport lounge access, airline fee credits, discounted award prices, and more. I put a dollar amount on a cards’ perks just like I put a dollar value on its sign up and category bonuses before deciding whether to get or keep a card. Almost all rewards cards have an annual fee, though many waive the fee for the first 12 months you hold the card. Some people have a hard-and-fast rule that they only want to get cards with no annual fee. I don’t understand those people. Fees stink, but I pay them if I get enough value to more than offset them. I’m not afraid to get a card with an annual fee the first year, but I’m also not afraid to cancel a card because of its annual fee. I would hold all my credit cards forever if it weren’t for annual fees. As mentioned above, that would increase my credit score by keeping my total credit line and average age of accounts high. Unfortunately most cards just aren’t worth paying an annual fee to hold year after year. Whether to keep a card or cancel a card is an arithmetic problem that involves adding up the marginal benefits of holding the card and subtracts the annual fee. Here are the factors to consider. When I get a card, I put a note on my calendar for 11 months later to decide whether to keep the card. If I decide to cancel the card, I call the number on the back and let an agent know I want to cancel the card because of the annual fee. The agent usually offers me something of value to keep the card. Sometimes they’ll waive the annual fee. Sometimes they’ll offer bonus miles. If the retention bonus is good enough, I’ll keep the card. Otherwise I’ll cancel the card. Canceling a hotel or airline card where the points or miles go into your hotel or airlines account does not cause you to lose the miles. Those miles are safely in your airline or hotel account and will expire in accordance with normal expiration rules. 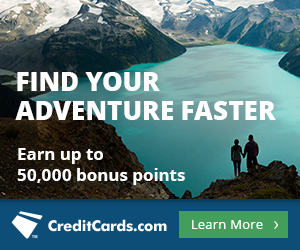 Canceling a card that earns credit card points like Chase Ultimate Rewards does forfeit all of the points you haven’t yet redeemed. Redeem those points before canceling the card. Most awesome travel credit cards have a nearly identical business version. If you can open business cards, you can basically double your miles-earning opportunities. You don’t have to have a huge, profitable, or even incorporated business to open business cards. You can sign up with your social security number as a sole proprietorship and truthfully describe your side business on the application. Will You Run Out of Cards? This is a question I get from a lot of people. They wonder if opening a lot of cards at once makes sense because one day they might run out of cards. First of all, there are over 20 worthwhile cards to open on the market. Second, new cards are being created all the time by the banks, and many of them are attractive. Third, you can get many cards more than once. Some cards you can get over and over without canceling your first card. This is the case for the Alaska Airlines card. Other cards you can get every so often. For instance, you can get Chase cards and their bonuses again after waiting two years from your last bonus. This rule varies by bank.